Kez or The Ditzy Diva. Or just ‘Ditz’. It speaks volumes and requires no explanation. I hope others would agree they would include: Funny, mysterious, heart-warming. Easy, laid back - but tense where it has to be tense. Relevant. I wanted to add gripping and ‘un-put-downable’, but really? I’ve already given myself such a swelled head that I hit it on the forty-seven metre high ceiling when I went to get a drink a moment ago! Can it be one of mine? Yes? Okay, I’d be Macey in Almost Dead. Why? Because she’s a survivor. Macey has so much thrown at her, but she never gives up the fight. She’s smart, sassy and feisty. I admire her confidence and her strength – and I love most that she doesn’t lose the essence of who she is – even when she’s at her most vulnerable. Yes, I’d like to be Macey. And hey! It wouldn’t hurt to have her amazing wardrobe and be 17 again, either! Bring it on! Therefore it would have to be a time in the future, but as that seems to be hurtling towards me with way too much speed, I think I have to be happy to stay right where I am. But, then again, if I could shave ten years off and get away with it, then maybe I should reconsider the whole going backwards thing? O.M.G I could become a rugby league fan after all! See? Life is FULL of surprises! 8. What would you say to your ten-year-old self? In fairness though, this fire had to be fed, and for that I thank my mother who loved books and raised me in an environment filled with wonderful words and worlds. I did have to wait to be much older to experience commercial fiction though – I was only allowed to read the classics as child. Still, it was a wonderful grounding and it certainly fed that fire. Thanks Mum! This is a silly meaningless answer – but the only thing that came immediately to mind and one my family would instantly associate with me is a number: 47 and all its extensions. 47, 47,000 47,000,000 – as in ‘I had to do it forty seven times!’ Or ‘I’ve told you 47,000 times not to do that!’ I’m not sure what says about me. It has no relevance to me as a writer or my work, except that occasionally a character will say it and of course, I shriek with horror and quickly delete it! Truth is though, I’m big on all superlatives. If there’s way to make it bigger, better and or fabulous – then I’ll find those words. Which translated means that I probably will never make a good eye-witness. Officer: Can you describe the assailant? Hmmnn. Agonising… Agonising… You know? I think it has to be Louisa May Alcott’s Little Women. It’s a sentimental choice. It’s a book I remember clearly from childhood because mum and I read it together many times. But there was more; aspects of that book and story carried over into our relationship. I was at boarding school and had to write home every week and fell into calling mum ‘Marmey’, emulating the drawling March girls. (Mum read with accents). Later when Mum became a grandmother she chose to be called ‘Marm’ – again as a tribute to Little Women and what it had meant to us. But other than that? So many books! Right now though, a close second would have to be Almost Dead because I am enjoying such a love affair with this new book baby. Sometimes you write a book that just captures your heart – and this one has done that to me. I’m proud of it – and so yeah – that would definitely be a very close second choice. 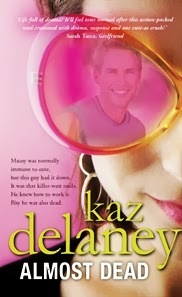 Kaz Delaney is an Australian author of more than 65 titles for children and teens. Her YA novel Dead, Actually (KBR review here) won Favourite Paranormal at the Australian Romance Reader's Association Awards and won an Aurealis Award for Best Young Adult Novel in 2012. 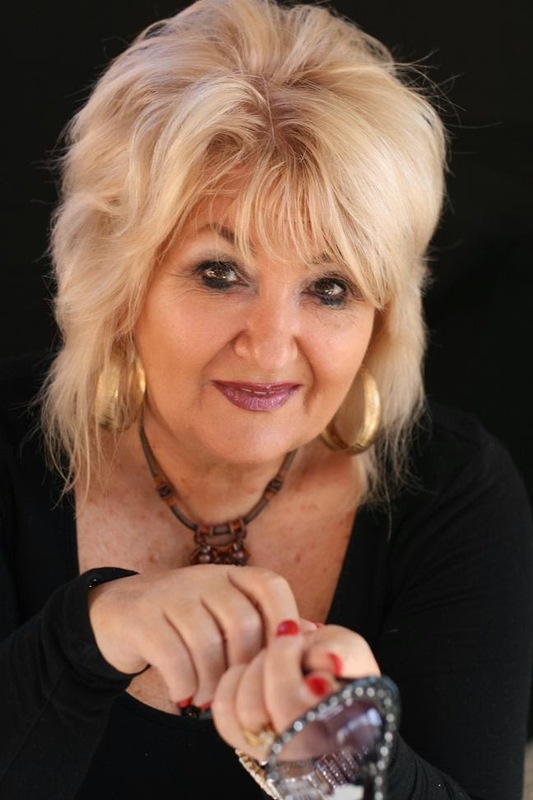 Her latest novel, Almost Dead, is a companion book to Dead, Actually and was published by Allen & Unwin in January 2014. Visit Kaz Delaney's website to find out more about her books and writing tips or check out her Facebook page for more information.